Our office is now located at 130 Ferry Road, on the cnr of Fitzgerald Ave and Ferry Road, opposite our old offices. The entrance to our parking area is off Fitzgerald Ave, just after the traffic lights. 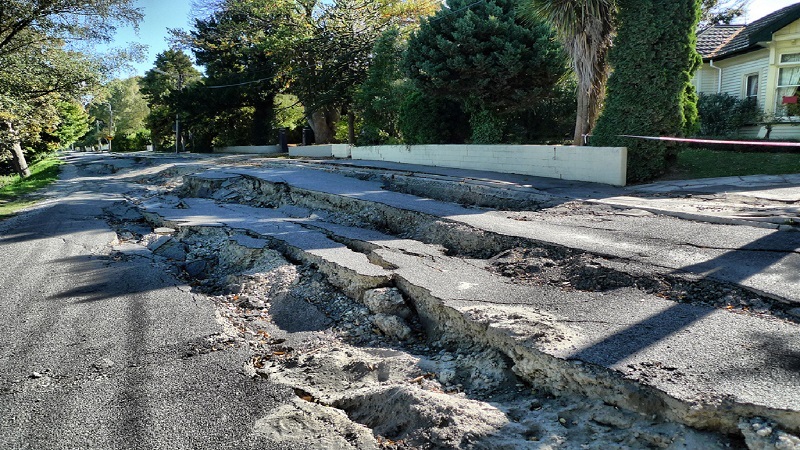 It's now over 7 years since the big earthquakes hit Christchurch, in that time Earthquake Services Ltd has become New Zealand's largest privately-owned insurance advocacy and litigation funding service, offering our services throughout New Zealand. While our primary focus has been earthquake related claims, we also deal with other types of general litigation funding. We are not run, or influenced in any way, by insurance companies. We do try to work with them for a fast resolution, but we won't back away from fighting for your full entitlement. We have helped hundreds of Cantabrians and New Zealanders settle their earthquake claims at levels far above their insurer's initial offer. Our 'No Win, No Fee' approach means we do not charge you our fee unless we resolve your claim. Furthermore we fund the entire process from start to finish. So unlike some other resolution services or legal firms you pay nothing until your claim is settled. There is nothing more soul destroying to have to pay lawyers bills every month year after year trying to get your house claim resolved all the while living in a broken home. Some people are even paying rent for a house to live in and a mortgage on their broken home. We understand your dilemma and that's why you pay us nothing till settlement. EQC/EQR or Insurer managed repairs that have failed. Those who believe their Insurer or EQC withheld information from them about the true extent of the damage to their home. Those who have purchased homes since the quakes with claims against the original policy to find out the insurer will only pay indemnity value. A newer group are homeowners who bought 'repaired' homes but have since discovered unaddressed damage or failed repairs. While the deadline under the Limitations Act has theoretically passed for some, for others it is rapidly approaching and homeowners must act quickly. For those for whom it has passed, it may not be too late so contact us. See below for more information. We are now also working with clients on 14th November 2016 Quake claims from the Hurunui district; from Waiau and Kaikoura, and from Wellington. While the introduction of 'sum insured' policies should have made it easier to settle claims, what we hear from people in these areas is that insurance companies are continuing to employ delay, deny, defend strategies and limit payouts. Essentially claimants are facing the same battles as Christchurch residents. The agreement between EQC and insurers which made insurers the sole agent dealing with claims, has also failed to make it easier for claimants. If you are in these areas do not delay because battling insurers requires in-depth information on your home, and it takes time to amass this data. Please contact us as soon as possible. 1. Call our consultants to discuss our service. Once you have signed with us we organise a free foundation inspection to give you and us an idea of the damage. If, after this initial inspection, we find little or no damage and/or little prospect of a successful claim, we will tell you and cancel the contract. You pay nothing but have peace of mind that no damage was missed by EQC or your insurer's assessments. 2. If we confirm you have a claim worth pursuing, we follow up our initial report with a full damage assessment (IDA) to determine the earthquake damage. 3. OAfter that we will engage engineers to provide an engineering report to establish a repair strategy in line with your insurance policy. 4. Once we have the necessary reports, we write to EQC and your Insurer on your behalf to see if they agree with our assessment. If they fail to respond or disagree with this assessment, we file your claim in court. We do this is to protect your rights in view of the Limitation Act but also to ensure a structured process to which all parties must adhere. Filing in court ensures that EQC or your insurer can no longer ignore you and continue to delay. However, although we have filed many cases in court less than 1% of our claims have gone to trial with the vast majority settled out of court well before the court date. We know how stressful the last 7 years has been and we are here to stand between you and EQC or your insurer and interpret double speak to plain language Come and talk to our friendly, helpful team and let us fight for you. EQC and all the major Insurance companies involved in earthquake claims have announced that they will use a defence under the Limitation Act(s) which requires court proceedings to be brought within 6 years from the date on which a homeowner could first sue. AA Vero & Tower believe this deadline passed for Christchurch claims in Sept, 2017. The deadline for IAG was 30 June 2018. Southern Response have a policy that the 6 years runs from when they last dealt with your claim. EQC has not yet set a deadline. For claimants for whom the deadline has theoretically expired, we expect legal challenges to these dates in the near future as the date of the quakes cannot reasonably be taken as the date from which homeowners could first sue. Policy holders could not possibly know what insurers were offering at this point in time. We therefore welcome enquiries from those who missed the deadline their insurer is relying on. Call us for a free foundation inspection of your property and to talk about how we can help. See Us On Facebook...To see whats the news. Understand Our Process...To know more about us. Click here to visit on our Google-plus page. EQC declared your home overcap and paid out its obligations, but you are unable to agree with your insurer on the extent of the damage and appropriate repairs or a rebuild. As noted above, the deadline for Southern Response Claims is closing fast and there is no time to delay. Those for whom the deadline has passed still contact us as these deadlines could change in the future as a result of legal action. Those with EQC home claims fall into the three categories below. Although EQC has not yet declared a deadline this could change, and after 7 years it is really time to get people's homes repaired, so contact us as soon as possible if you are in any of these situations. 1. Undercap claims: EQC is still insisting that your home can be repaired for less than the EQC cap, despite your belief that there is more damage, or you have evidence to the contrary. Many homes have been inadequately scoped and significant structural damage missed. 2. Failed Repairs: EQC has admitted that thousands of homes repaired under its Fletcher EQR program were not repaired to an acceptable standard. It likes to blame builders for sub-standard work, but the real problem was more often dodgy assessments, damage removed from scopes by Fletchers and EQC and the poor repair strategies undertaken by EQC and Fletcher EQR. Trusting homeowners were told, "That crack was there before the quakes," or, "These leaning walls are within the MBIE guidelines so we don't have to straighten them," or "Poor workmanship caused that hump in the floor". If damage is not assessed properly or repair strategies are inadequate, then no matter how good the builder, repairs will fail. Don't listen to their double speak, talk to us for a clear understanding of your entitlement. Some people believe if they signed off their repairs they have no case against EQC, this is not true. It makes no difference to your claim if you have signed off repairs or not, see us urgently if this is your case. Homeowners who have bought homes assuming that repairs were done to a good standard but have since discovered significant damage that was not repaired, or whose repairs have failed have sometimes been told that if the insurance claim was not assigned to them at the time of house purchase, they cannot claim. This is incorrect. A claim can be assigned after a sale with the agreement of the previous owner. If you are in this situation and need help, contact us. 3. Underpayment: EQC has paid out many claims rather than employ their own contractors to undertake repairs. In some cases, an amount was simply paid into people's bank account without a detailed accounting of repair costs for damage. However, when homeowners come to repair their property, many have found that the sum they received is not enough. If your unit or apartment was earthquake-damaged and shares a wall(s) with another dwelling, it may have been put in the 'too hard' basket for EQC and not passed on to your insurer in a timely manner. Or you may have been forced into an arrangement with insurers where one took the lead and repaired the complex, often to a standard well below what your policy entitled you. If you are not happy with the way things were done or you are not happy with the standard of repairs, you do not have to accept it. Your policy is with your insurer; just because you share common walls you do not have to work as a group. Make sure all your rights and entitlements are being protected. We can deal with your unit as if it were a stand-alone building, or manage the whole claim on behalf of all owners. Do not accept less than what you are entitled. Not only homes were damaged by the Canterbury earthquakes, but land as well. Almost every section has either dropped, risen or moved sideways and many now have increased flood and liquefaction vulnerability. Thanks to EQC, New Zealand is the only country in the world where you can insure land. Every house that had insurance at the time of the quakes also had EQC insurance on its land, yet very few homeowners have been paid for that damage and none we know of have been paid their full entitlement. Few people understand what they are entitled to with a land damage claim; even fewer understand how to assess the damage and cost the remediation. No other advocacy service that we know of is taking on these land claims. These are difficult claims to manage and less rewarding than housing or commercial claims. As yet, EQC has avoided a discussion on the implications of this land damage and no cases have been tested in court. However, if we can help you to get your full entitlement as a homeowner, we are prepared to help. Don't delay contacting us about your land claim especially if you have been classified as having increased flood or liquefaction vulnerability. Earthquake Services helps homeowners along every step of the arduous path to getting their claim settled fairly. We engage experts to properly assess earthquake damage, engineers to develop the appropriate repair strategy, quantity surveyors to cost the repair or rebuild, and the right legal representatives to mediate or litigate the claim to ensure a fair and reasonable settlement or we can work with and fund your own experts or lawyers, whichever suits you best. 1.If you then want us to manage your claim, contact us and talk to one of our Claims Advocates Sign our contract and then let us take the weight off your shoulders. 2.Get our obligation-free Foundation Assessment (FA). 3.After this report if we both agree there is a claim to purse, we will manage your claim to resolution. If we both agree there is not a claim worth pursuing, we cancel your contract and you pay us nothing, but you keep the free Foundation Assessment for your peace of mind. 4.If we proceed with your claim we engage experts to fully determine the earthquake damage and remediation strategies. 6.We will engage lawyers from our panel or one of your choosing to represent you along the journey to resolution. Our initial free Foundation Assessment (FA) is just the first step to gathering the necessary information to prove your claim. The subsequent Full Damage Assessment (FDA) usually is prepared by a licenced building practitioner, but can also involve other experts such as engineers, quantity surveyors, cadastral surveyors, geologists and geotechnical engineers, as well as variety of technologies such as ground drilling, metal detectors, laser levels and Ground Penetrating Radar. Our engineers are a necessary part of the process of obtaining and providing the evidence required in post-quake Christchurch. They prepare the full engineering reports, to establish a remediation strategy. Then they meet with engineers from the insurer and/or EQC to provide a joint report which is supposed to provide clarity to the Courts. They are also likely to be involved in any mediation or in the litigation process. The experts we engage clearly understand the difference between policy entitlement and the newly created and often lower standard of the MBIE guidance document, which insurers and EQC may try to argue is enough to meet your policy entitlement. Expert Quantity Surveyors (QS) provide detailed costings of any repair strategy or rebuild to ensure the amount to repair/rebuild is accurate and sufficient. A QS is a professional concerned with estimating building costs in the construction industry. The QS will present detailed information on the cost of every element of work, materials and labour. The QS might also advise on any potential issues in repairing or rebuilding on your site such as access. We engage some of the best insurance litigators in the country to assist with the resolution of your claim. 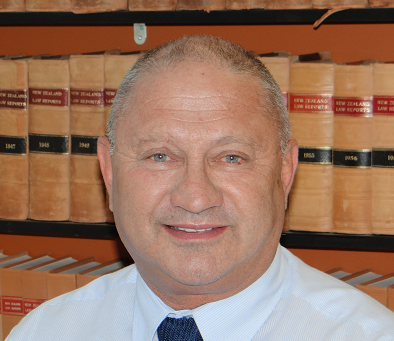 Our panel of external lawyers includes Grant Shand, as set out below, all of whom have conducted many earthquake cases and mediated settlements with notable success. This experience is essential as conducting earthquake claims continue to become more complex. If you agree with our recommendation to engage one of these lawyers their teams will work for you and take instruction from you but you will not have to pay their account until settlement. You also enjoy the rates we have negotiated for their time and fees. We also have access to other insurance law specialists such as Queen's Counsel if the need arises. is a lawyer and barrister in his own law firm who specialises in insurance claims for homeowners. Grant currently has by far the lion's share of claims filed in the High Court. Like all businesses we have to make a profit to be able to stay in business and continue helping others resolve their claims. Being a litigation funder we take a percentage of your claim at settlement. The amount of percentage is determined by the level of risk, however with most earthquake claims our fee is 20% of the settlement for the building and or land claim. Unlike many other firms and most lawyers we are open and upfront with our fee, so there is no surprise at the end as to what our fee is going to cost you. We do not charge any fee for costs recovered (see below). We will discuss this with you further before you sign up with us. What we do know is that compared with other litigation funders in New Zealand and Australia we are at the lower end of the fee scale. Costs to resolve your claim. Unfortunately, EQC and Insurance companies have been able to convince the Courts that words in their policies don't necessarily mean what a lay person interprets them to mean, such as like for like, when new. In other parts of the world and even in New Zealand before the quakes, all an Insurance company or EQC required to determine a payout on a claim was a quote from 2 or sometimes 3 builders. Not anymore. Now we need a congo line of experts all with their hands out to get paid for their opinions. We need ground drilling services, geotechs, foundation experts, cadastral surveyors, building surveyors and consultants, engineers, quantity surveyors and worst of all, we need lawyers. All these cost money and want to be paid as they do the work. For most homeowners meeting these imposed barriers is cost prohibitive and leaves them unable to fight for full entitlement. At Earthquake Services, we help to minimise your costs by negotiating special rates from experts for early payments or bulk investigation work. We have also negotiated special rates with our panel of lawyers so they do not charge our clients any more than the Court will allow to be recovered from the opposing party. This is called 2B costs. We know of no other lawyers in New Zealand currently fighting earthquake claims where they have agreed to only charge their clients 2B costs. In New Zealand unlike other western countries, particularly the USA, you are NOT able to recover our fee from your Insurer. We are hoping this will change in the future as the Courts appreciate the enormous cost barrier imposed by Insurers to enable homeowners to challenge their assessments. In the USA costs of litigation funding are a recoverable cost under most of the Insurance policies. While we make every attempt to recover all your costs from the Insurer and EQC, we cannot guarantee this outcome. However, we can say in most cases around 75% of costs are recovered. These are recovered in several ways. Costs against EQC usually involves an argument in Court, fortunately to date we have won these arguments and hopefully in the future EQC will do what's right and pay their fair share of costs without fighting over it. We are sure their lawyers are the only ones benefiting from this litigious behaviour. Some Insurers like the Government's Southern Response do not want to show costs being paid to homeowners, we believe because it would be too embarrassing for them. So they hide the costs recovered in what they refer to as a "Global Settlement" which includes the cost of repairing the home and also their share of your cost outlay. Other Insurers which don't have the same level of political scrutiny may openly declare the costs contribution in the settlement agreement. So they may provide 2 sums in the settlement agreement, (1) remediation settlement (2) Costs reimbursement. What's very important for our clients to know is that we do not charge any fee at all on costs recovered, we only charge our fee on the building repair or rebuild number. Where an Insurer states a "Global Settlement" we rely on the lawyers to advise us of the amount of contribution to costs the Insurer has included in the settlement number so that can be deducted before we charge our fee. At or shortly after settlement you will get 2 invoices from us, one is for our fee the other is for costs incurred, both invoices become payable after you receive your funds. As you can appreciate we have in some cases paid costs for several years to get a claim to resolution, so Interest accrues for late payment of either of these invoices. What is important to think about when you have reached settlement with EQC and your Insurer. (3)	After settlement look at the value of your property, less any mortgage and add to it the value of your total settlement including any prior payments by EQC or your insurer, less our fee and cost invoices. This will give you your current net value). You will quickly be able to determine the value our service has added to your financial position. These Q&As are general in nature and the opinion of the writer and not intended to be legal advice and should not be relied upon as such. 1.What can Earthquake Services do for me? We offer a full service earthquake claim litigation funding and resolution solution. Unfortunately, in New Zealand because the Government is also a major insurer, there is no incentive for the Government to advocate for homeowners against their insurers. In our view, the Government has actively helped insurers circumvent your insurance policy despite this constituting a contractual agreement. The Government created the MBIE guidelines, for example, which have become the default standard insurers use to settle your claim. In fact, the MBIE guidelines standard is lower than that set out in most insurance policies and the Building Act and the Building Code. The Government also created the Red Zones and offered homeowners the value of their property as it stood in 2007, "Indemnity value" ignoring the fact that almost all these homeowners were insured for full replacement, no matter the cost. Thousands of Red Zoned home owners were unaware of their true entitlement and accepted what was essentially indemnity value when they should have been paid full replacement. We fight EQC and your insurer for your full entitlement. We pay all costs throughout the process, so that you pay us nothing until the resolution of your claim. We take the risk on a No Win, No Fee basis. We organise the necessary independent experts to assist with proving your claim. We have negotiated exclusive arrangements with all the experts and legal representatives to minimise costs. 2.How much are the costs to run my claim? Unfortunately, there is no way we can pre-determine costs. Smart insurers tend to settle claims with us quickly to avoid the enormous costs they may ultimately be liable for. Others fight to the bitter end, allowing costs to escalate to eye-watering numbers, even though they eventually have to pay most of your costs as well as their own. The claims that usually drag on are the ones where the insurer or EQC has engaged lawyers, rather than allowing their claims manager to settle the claim. As we all know lawyers get paid by the minute, so there is no incentive for insurance lawyers to settle claims quickly unless they are in-house. The good news is, once you have signed our current contract, you don't pay us anything until your claim is resolved. We fund the process from start to finish, no matter how long it takes. Unfortunately, our fee for earthquake claims of 20% of the settlement figure is not recoverable from your insurer or EQC. However almost all other costs are recoverable; legal fees, engineering fees, quantity surveyor, ground penetrating radar, builder's reports, etc. At settlement sometimes offers are made as a global settlement figure which means one sum including costs is offered. However, with some insurers there will be an offer for building repair or rebuild and a separate offer for costs you have incurred. So while costs are important, they do not necessarily impact on your pocket as the liability usually lies with EQC and the insurer. Experience tells us on average 75% of costs are usually recovered. 3.How can I re-build my house once I’ve paid your fee? It is true that our fee has an impact on your final settlement amount. However, this has to be seen in light of the fact that we cover all costs throughout the process. It also has to be seen relation to the potential outcome given that we usually get results far in excess of you might have originally been offered. It is also worth considering when you are rebuilding or repairing whether it is really necessary to replace everything in your home 'like for like' as the insurer is generally required to pay? For example is it a good investment to replace your floors with rimu native timber or the much less expensive and environmentally sustainable bamboo? Alternatively, would it be wiser to use some of the money to invest in a rental property and only do necessary repairs to your current home? There are many options once your claim is settled, so while our fee is not insignificant, it will be one of the best investments you have made. Doing nothing could cost a lot more. We are always available after settle to discuss with you some of your potential options going forward. 4.Do you only deal with earthquake claims? No, we are a full litigation funding service and will consider funding any litigation. Once we have reviewed your case we will advise you of our terms and conditions. For example, we've been engaged by a group of homeowners in Whanganui to run claims for them against EQC for land slip damage as a result of severe rain events in June 2015. We are working with these homeowners individually and as a group, where costs can be saved. We've also taken on a claim for over $20 million against an insurance broker for professional negligence, and one for defective construction of some apartments. Call us to discuss your case to see if we can help you. "After the earthquakes we found ourselves in disagreement over the extent of damage to our house and the repair strategy being proposed. After limited success going it alone we decided to enlist the help of Bryan Staples and the Earthquake Services team. The process of working through the High Court system has not been easy. We have been mistreated by our insurance company, bullied by their lawyers and pushed to breaking point. Bryan has helped us every step of the way; dealing with these so-called professionals and truly advocating for our rights. We regularly email Bryan or meet him at his office; angry, upset and exasperated. He is always available and always willing to help. He calmly talks us through our concerns and sends us on your way feeling confident and supported. Thanks again,"
" I'm under Earthquake Services with Bryan Staples. I'm very very happy with my reports and how things are going." Toni had previously spent over $11,000 on lawyers fees trying to get her home repaired to no avail. "The ground under Gavin's home has fallen away and his foundations are severely compromised. The house sways and vibrates in strong winds and is now cold and damp despite two heat pumps and dehumidifiers. He and his flatmate has serious medical issues and are considered vulnerable. Gavin came to EQS mentally and physically exhausted from the battle to have his home repaired and is happy to have someone fighting for him and interacting, on his behalf, with the relevant parties. Thanks again,"
Thanks Bryan for all the work that you, Cheryl and Gary have done on our case. "Actually "thank you" are two very small words to represent an enormous amount of gratitude, but the English language often falls short in that regard. It's a huge win to make the insurers finally agree that the cost of the house repairs are over EQC cap after they spent five years stating otherwise. We would not have achieved this unless we did an independent damage assessment through your organisation, and then taken legal action as you recomended. It's been a long and rocky old road which is still ongoing for many hundreds of homeowners. We'll be keeping tabs and an eye on things as you continue fighting the good fight for those still battling. I'm keen to contribute or write a book sometime actually on all of this....although classification might be difficult as many people might not believe that any such book would belong in the non-fiction shelf." "I do not know how to thank you and your team for everything you have done for me throughout this journey. As you know I am a returned serviceman, I have faced the enemy on many fronts, but never have I faced one so determined to destroy me as EQC and my Insurer. Without you I fear I would be now 6 feet under, instead now I am in my new apartment soaking up the sun sending you this email on my new ipad, which I am still learning to use. Thank you and please drop over for a beer sometime." "I wish to write and convey my very heartfelt thanks for your assistance in our claim with Southern Response. I have relied on your advice over a long period and thank you for your very genuine assistance and salient advice in times of need. C and I wish to thank you for getting us out of this mess and we really appreciate you and your teams great help. Your team of independent experts and other solicitors etc are all to be congratulated and we owe them all a debt of gratitude. Their help has been immense and really got to the crux of our dilemma. We have been really impressed with the overall approach and will continue to advise friends and customers the future pathway with Earthquake Services to get them to a conclusion with their insurance companies." We are truly thankful and will be eternally grateful. If you have any questions about repairing your home or land, or how Earthquake Services operates, email me. independent assessments, claims resolution, and opt-out repairs for those who simply want to move on. © 2016. Earthquake Services | Opt out | Claims Resolution | Damage Assessment..